I grew up in Wisconsin, enjoying the snow and cheese. Although I participated in quite a few different sports growing up, I always focused on soccer up through high school. After high school, I went to college at Washington University in St. Louis. While getting a degree in physics, I was part of the track and field team, running the 400m, 400m hurdles, and 400m relay. After graduating college in 2008, I began work in Colorado for an oil and gas company. While in CO, I spent my free time doing recreational gymnastics at a gym in Denver, learning basic tumbling and skills. In 2009, I was laid off by my company, and decided to move out to California. While in CA, I found a job coaching level 1-5 boys gymnastics. Although never a competitive gymnast, my time coaching taught me quite a bit about gymnastics movement and different approaches to teaching. It was also at this time when I met my (now) wife, who just so happened to be my boss at the time! After about a year in California, my old job offered to rehire me and gave me a position in Arkansas. Once in Arkansas, I really began to explore CrossFit, albeit in a commercial gym. I was blown away by all the weaknesses it revealed, even though I considered myself “in shape”. Not long after, an affiliate opened up and I immediately joined. I had a passion for teaching, and it wasn’t very long before I got my Level 1 and began coaching. 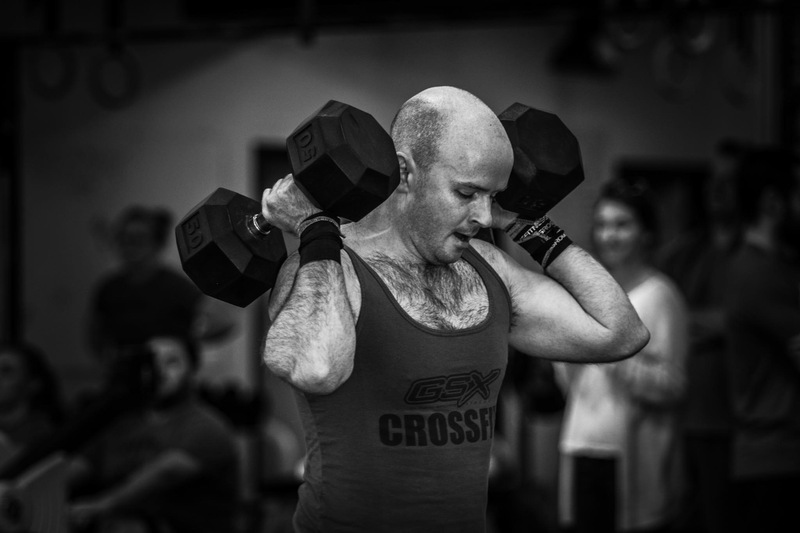 In 2013 my job moved my wife and I to Fort Worth and I began working out at GSX CrossFit. After a few months of working out and being part of the community, I stepped in to coach and haven’t looked back. With the CrossFit Iron Horse merger in May 2014, I was thrilled to have the opportunity to meet new people and be a part of an even larger community. I love coaching, especially seeing others progress and achieve their goals. As a coach, I continually strive to learn and better myself, while always focusing on safety, progress, movement quality, and performance.